There are bottomless portafilters for La Pavoni Lever (Europiccola & Professional) available now on the Accessories Store. The portafilters are available for Pre-Millennium - ø 49 mm models and for ø 51 mm Millennium machines. Both versions come with a double filter basket either with a plastic or walnut handle. The ø 49 mm models are slightly more expensive than the Millennium models. The matching tampers are TORR SE (sharp edge) 49,4 and 51.5 mm in Titanium Grade 5 and Stainless Steel. We will develop new handle designs for the M12 threaded portafilters soon and expect 3-4 different types of wood here. The next TORR TOYS SHOP will be very modern, very digital, more stylish, more crypto and more PURE - stay tuned & enjoy the good stuff! The new range of Titanium Grade 5 Tampers is available now - all Sharp Edge SE. 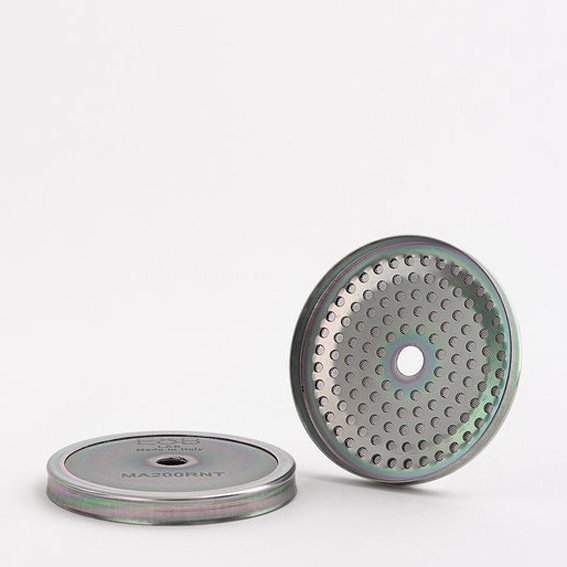 It´s incredible to see and feel the difference between a normal stainless steel and the Titanium Grade 5, where we offer a glossy finish for the GF tampers. The normal bases will have the polished surface at the trapeze side only. To have an impression about the difference in weight. The GF stainless steel is approx. 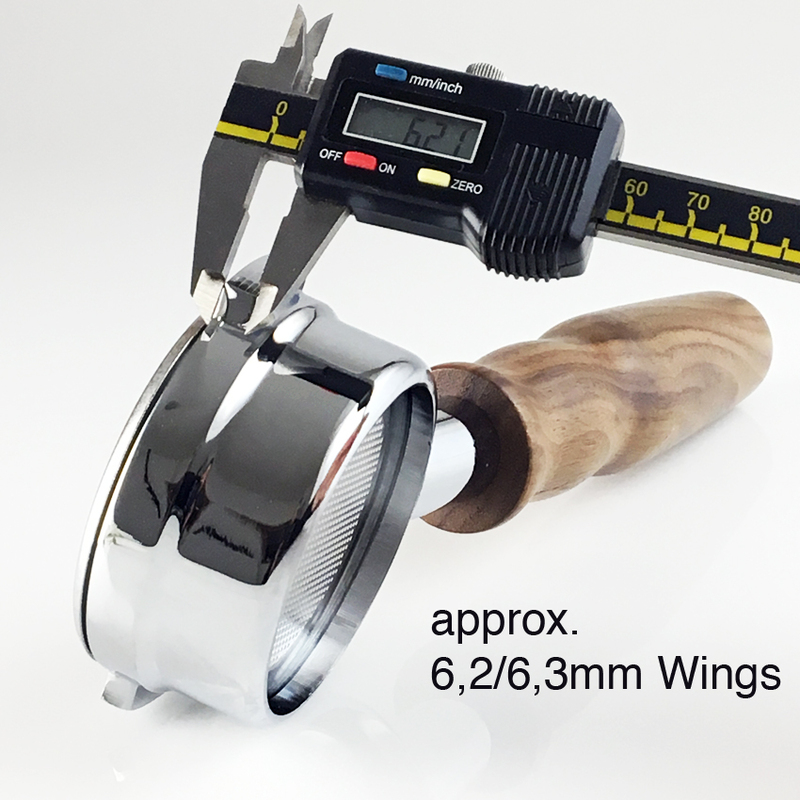 540g handle included, the Titanium Grade 5 is approx. 320g. This offers a totally different way to work and a much better feeling for the sharp edges. Indeed the handling of the TI G5 Tamper is different but you will love it. 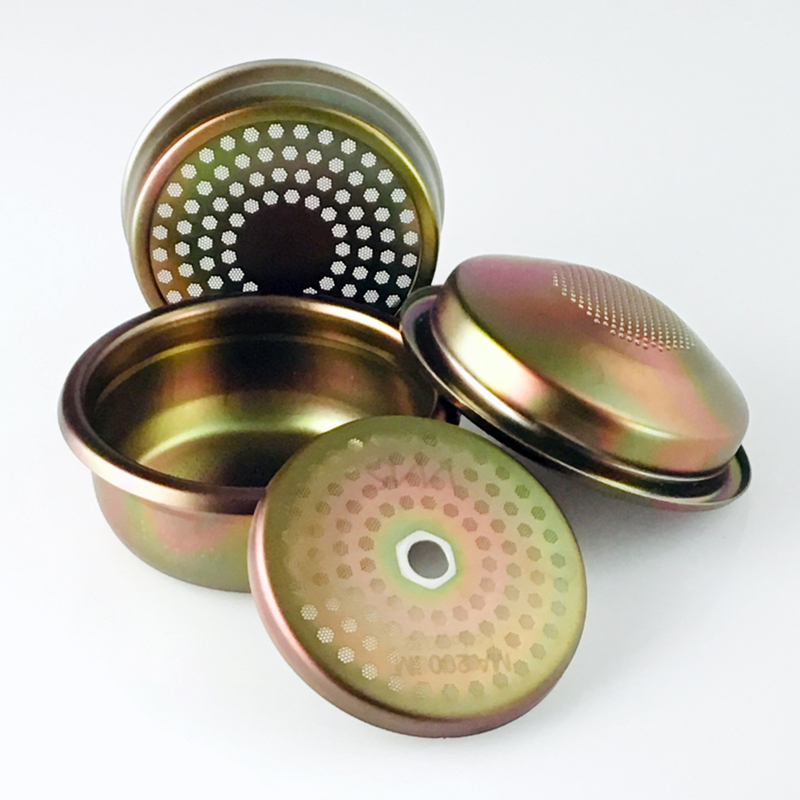 The TITANIUM range is strictly focussed to the size of the IMS and VST filter baskets. We have been waiting for the 20mm H basket from IMS for a while, now we can provide it as E&B LAB version with the 715 holes. All Filter Baskets from this range are ridegeless. The 20 mm one can be also used as a Single. We use the supplier filling info for those baskets although we usually like to have more space on top of the coffee. The E&B baskets might be the best money can buy but you can test yourself now to compare. We will also have them with X-TREME CC coating attached. We have made a nice arrangement for you to introduce some new products with our BFCM promotion during the Cyber Week 2018. Offers can be found at the “Outlet Store” - we will change the adjust and change the “Sales” every day. You can ask for the items you like, we will be able to provide a good offer for sure. Have a great Cyber Week everybody. There is a new coating available - X-TREME CC. That´s the stuff we have been waiting for - AMAZING! We are going to start with the best and most important IMS items, more items to come soon. Any part you like can be applied with this coating but you need to wait for the next batch of course. If you want the best, here we go…. We are going to produce some new Titanium Tampers, made from Titanium G5 these days. There will be some new diameters and designs available of course as the acceptance of our TI G5 tampers is quite amazing. 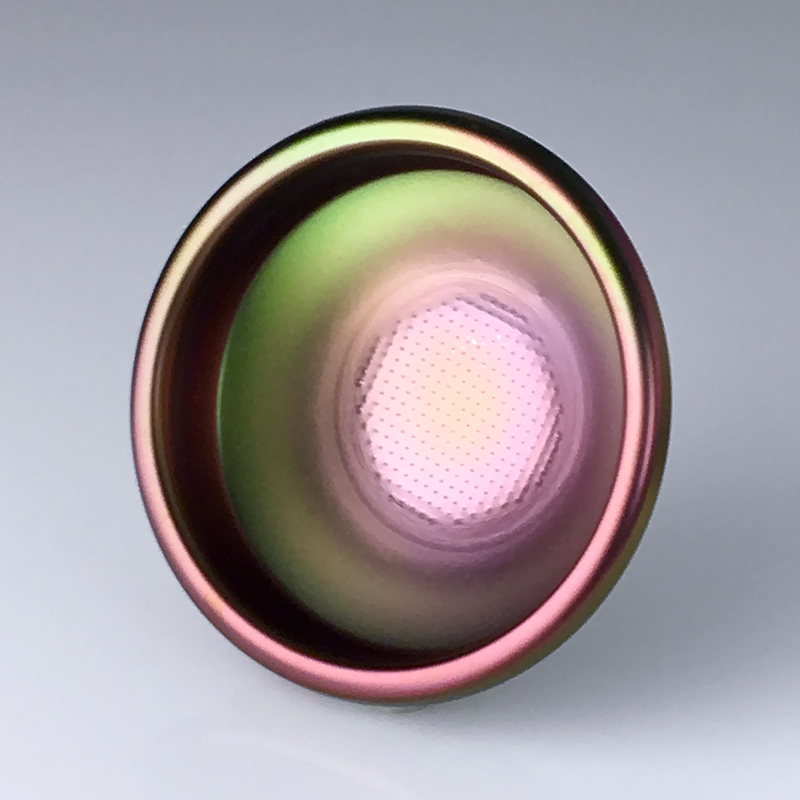 It´s also possible to add a DLC coating on top of the TI G5 pistons. There is not that much to beat this combination. Let´s see where we will end up with the Titanium.. You are also welcome to let us know the designs and sizes you would like to see. We can also produce small quantities and custom made products. Don´t hesitate to drop a mail. Singles`Day Offers - We are going to prepare some nice offers for you! The best way to use these gaskets is to combine them with the reinforced IMS RNT shower screens to enable best results and performance. Choose your professional tools at our accessories store. more info shortly and on demand. Just check the Accessory Store to find the right screen or IMS tool for you. Lever - just love it! Yes, we love lever machines and here is a new baby. It´s beautiful, elegant, well made but of course, it needs some mods. In the beginning, we provide some pictures of the "Heart" - guess what it is? Sure, it´s the lovely Conti leva, made in Monaco. We will post some pictures of the whole Set-up soon, beneath a Ceado grinder with a beautiful TORR glass hopper on top. More lever and more about this Conti will appear these days but there is one info we can´t miss to tell you in the beginning. There are not many machines on the market where you will get so much value for the money. However, let´s see about the details, benefits, pros and cons later and how we can improve this machine to make it even better and more beautiful.